SOMETHING stamped into myself and my two younger brothers at an early age was to respect your elders. They've seen a bit in their time and generally know better. My parents taught me to give them the time of day and show that recognition they're due. But on Sunday I witnessed the complete opposite. 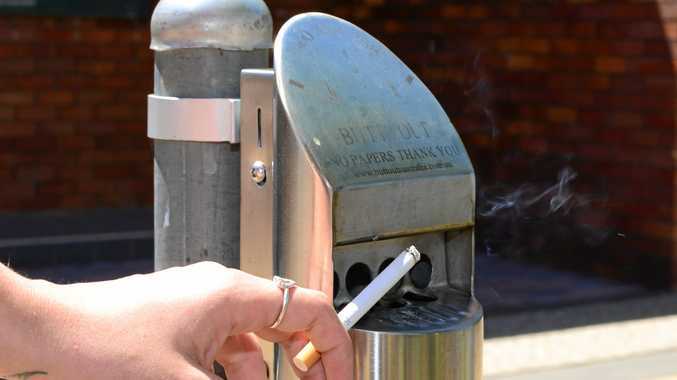 Smoking is banned at all public transport stations, for good reason. I'm completely at ease with people who smoke, they are their lungs they're damaging not mine, but I'm of the opinion cigarettes shouldn't be smoked in public spots. Well, one young Nambour degenerate clearly didn't think so. Around midday I was picking up a friend at Nambour Train Station. Do young people today lack respect for older generations? The young adult was smoking at the platform. He was approached by an elderly man who politely informed him he was not allowed to smoke there. Being down wind of the smoke, and with children and disabled also on the platform, the gentleman was doing the right thing by himself and the station. The gentleman asked him to please go outside. However, his request fell on deaf ears with the local smart arse essentially telling him to f*** off. If only that boy's mother could see him. A swift clip around the ears or a well-placed smack on the backside was needed. I don't claim to be perfect, but if a member of the public asked me to stop doing something I clearly shouldn't, then you stop immediately. If the serial pest is reading this (though I doubt it given his choice words on Sunday) pull your head in.